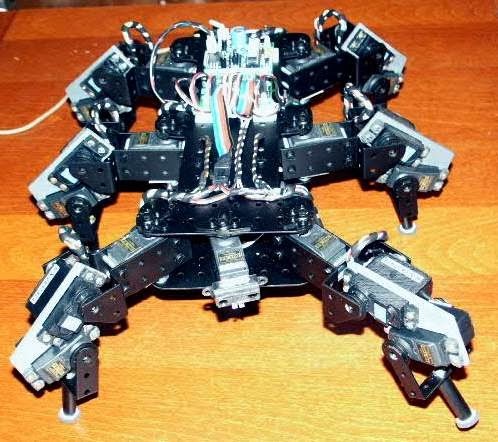 Melanie is an hexapod robot of 3 degrees of freedom by leg, that by the novel design of legs it has, can transport several kilograms on its body without electrical power overload. The version I that is in this technical report refers the simplest version of the implementation of the robot, in which the robot is connected to an external PC by serial port (RS232C) for its control by a Visual C++ application. "smoothed" Control of servos by using a driver with speed management. In this work there will be mention to all the mechanical,electronic and programming aspects, as well as conclusions of the experience.